The gunboat HMS Forward was one of four such royal navy vessels dispatched during the search for the murderers of William Brady and the Marks family in April 1863. The murder had taken place on Saturna Island to the south. 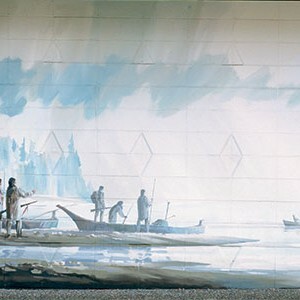 The fugitives were eventually apprehended only after a search and siege operation of more than two weeks, which included Thetis and Kuper (now Penelakut) Islands just off Chemainus Harbour.